INTRODUCTION: In this paper, the orbitofrontal and the anterior cingulate brain regions are seen to be at the heart of attaching value to inputs. The study contrasts the influence of rewarding stimuli on the nucleus accumbens, and the influence of aversive stimuli on the periaqueductal. Both of these latter systems appear to rely on opioids. The conscious experience of values is seen here to be important in the process of learning the value of stimuli that may in turn drive future behaviour. Pain is here viewed as a sensory and emotional percept. It is argued to have evolved as an alarm system to warn of injury, and to motivate change in behaviour to avoid a worse injury. There is also a learning, so that the subject learns to avoid actions that cause pain in the future. Pain is therefore seen as a teaching signal. 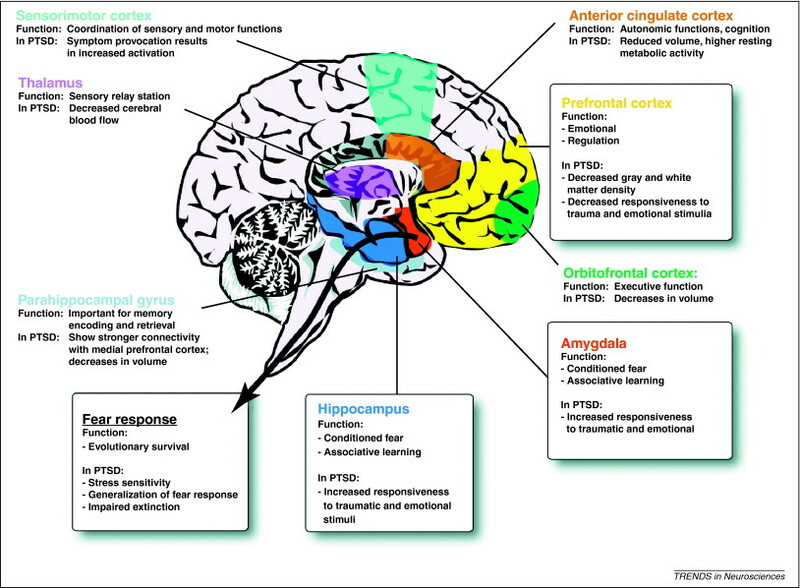 The brain’s periaqueductal grey matter (PAG) is a region involved in the process of learning to avoid pain. Learning is viewed as being driven by prediction errors, which measure the difference between the expected and the actual outcome of actions, in terms of experienced reward or punishment. Prediction errors in the physical brain related to rewarding outcomes are characterised by the activity of dopamine producing neurons in the midbrain, and the action of dopamine produced there on other target neurons, particularly those in the nucleus accumbens. These neurons exhibit increased activity in response to unpredicted rewards, but decreased activity when expected rewards do not materialise. However, a different system applies when prediction errors relate to punishers such as pain. 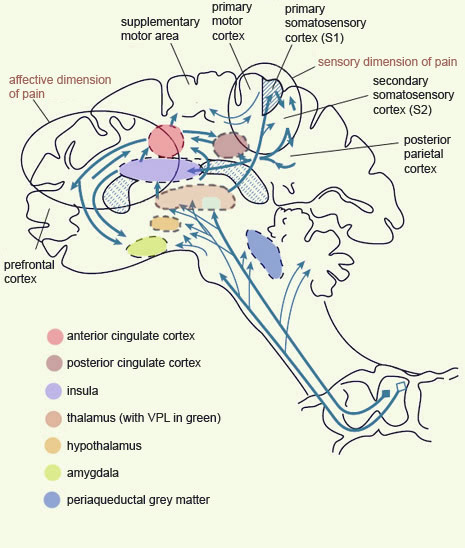 Such experience is related to activity in the periaqueductal grey, which gives higher activity for trials with pain than without pain, unless pain was fully expected. Prediction errors are not viewed as arising in isolation, but as being dependent on both expectancy and outcome signals, and on brain regions where the experienced value of the outcome of actions can be updated. In a recent model for aversive experiences, the periaquedutcal region receives expectancy-related signals from the ventromedial prefrontal cortex, and these are integrated with aversive inputs from the spinal cord. 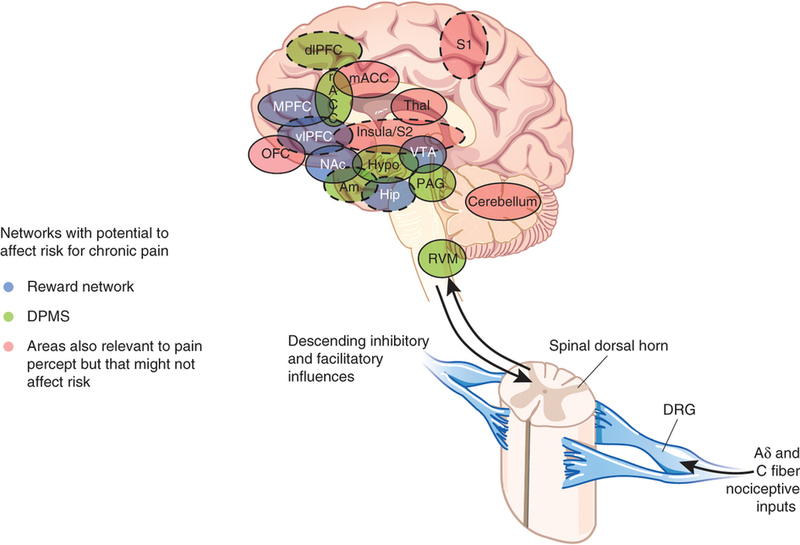 Projections from the periaqueductal are seen as influencing the orbitofrontal and the anterior cingulate that update the avoidance value of pain. The periaqueductal is seen as performing an analogous role to the nucleus accumbens. The nucleus accumbens responds to rewarding experiences, and not to aversive experience, while the periaqueductal responds to aversive experiences, but not to rewarding experience. The periaqueductal is rich in opioidal receptors, and opioids are seen to be involved in its prediction errors. The periaqueductal appears to be specialised in errors. If the degree of pain is expected, it does not respond, but pain is still experienced elsewhere. The spinal cord does transmit nociceptive information to the periaqueductal, but the spine also has alternative routes into the brain.